Salesforce. 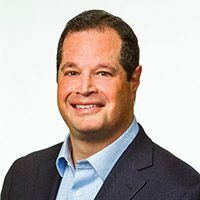 Since 2005, he has been leading the evaluation, deal execution and integration of Salesforce’s corporate strategic transactions, including mergers and acquisitions, as well as investments. Mr. Somorjai’s team has helped bring the company into significant new growth areas and onboarded a number of key leaders through acquisitions including Demandware, ExactTarget, Heroku, InStranet, Krux, MetaMind, Radian6, RelateIQ, Quip and SteelBrick. Salesforce Ventures is now the third most active corporate venture program in the world and its portfolio includes more than 200 innovative cloud companies such as Anaplan, Box, Classy, DocuSign, Dropbox, Evernote, FinancialForce, GainSight, InsideSales, MuleSoft, Radius, Stripe, SurveyMonkey, Twilio and Xactly. Mr. Somorjai’s team has made investments in companies located in 14 different countries, The Salesforce Ventures portfolio has had 9 IPOs and more than 40 of its companies have been acquired. Mr. Somorjai is a member of the Board of Directors of the National Venture Capital Association. Prior to Salesforce, Mr. Somorjai was Vice President of Business Development for Ingenio, which was acquired by AT&T. Prior to Ingento, John worked for Oracle Corporation where he was Senior Director, Corporate Development. Mr. Somorjai holds a B.A. from Dartmouth College and a J.D. from the University of California at Berkeley.